Mr. James “Jimmy” Harold Chehardy of Abita Spring, LA. passed away peacefully on Friday, February 8, 2019, with his family by his side. Mr. James is preceded in death by his parents, J.M. Chehardy and Grace Ann Guichet Chehardy. Mr. James is survived by his loving wife, Beverly Cooper Chehardy, his Children; Brandi Chehardy, Julie Chehardy Ellison (Patrick), Katie Chehardy (Jeremiah), James Harold Chehardy, Jr. and Amy Chehardy Watson (Josh). Mr. James is also survived by his siblings, Deborah Lanius, Jackie Griffin, and his grandchildren, Dylan, Evan, Anna, Gabby, Megan, Jace, Ellie and Lizzy. Mr. James enjoyed spending his time fishing, hunting and spending time with his children and grandchildren. He enjoyed being married to his wife, Beverly, for 42 years and loved being a father and Pawpaw. He devoted his life to his family with grateful heart and a smile to everyone who saw him. 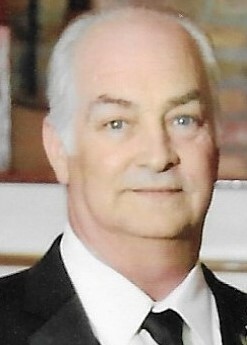 Family and friends are invited to attend a Funeral Service at 1:00 p.m. on Monday, February 11, 2019 Collins Boulevard Baptist Church 1501 N. Collins Boulevard Covington, LA 70433 with visitation from 11:30 a.m. until service time.